The Blue Vipers of Brooklyn are an early jazz, swing, and blues band, composed of acoustic guitar/vocals, upright bass, homemade washboard percussion, trumpet and saxophone. Their repertoire of witty songs from the 1920’s and 30’s, New Orleans & Dixieland, classic Blues, R&B and Western Swing is augmented by original tunes with moving yet often bawdy lyrics and catchy 4 part vocal harmony. Billy was born in Howells, Nebraska in 1977.Around the age of eighteen he joined up with a traveling carnival “Culpepper Concessions,” which eventually dropped him off in New Orleans.It was under the mentorship of clowns, jugglers, mimes, acrobats and legendary street performers like Anthony “Tuba Fatts” Lacen and The New Orleans Jazz Vipers that Billy honed his musical and performing ability.He spent four years playing for crowds on the streets of New Orleans and traveling with another carnival “Circus Ridikkulous.”In October 2001 Billy moved to New York City and brought with him a vast repertoire of early swing, Dixieland, gospel, country and blues music as well as an amazing ability to draw and hold large crowds wherever he performs. Chris Pistorino is a New York City based upright and electric bass player. He performs in many various styles of music including straight ahead jazz, swing, early/trad jazz, classic blues and R&B, country as well as orchestral classical music. 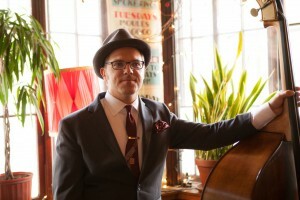 Chris entertains audiences throughout the week as co-leader of the popular vintage jazz group Lapis Luna and as a founding member of the rousing early jazz and swing band The Blue Vipers of Brooklyn. He is also the booking coordinator for The Blue Vipers. He travels regularly up and down the east coast performing concerts, festivals, swing dances and private parties. In NYC Chris performs with Lapis Luna Wednesday nights at The Flatiron Room and every Thursday evening at the world famous Plaza Hotel’s Rose Club. Catch him playing with The Blue Vipers on Monday night at Chez Oskar and Tuesdays at Bar Tabac. Many Sunday afternoons you can hear him playing great old country music during brunch at Moto in Williamsburg, Brooklyn. 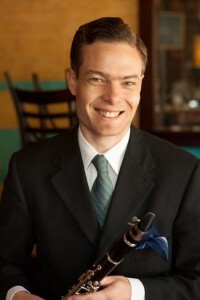 He has toured America and Europe playing festivals and teaching master classes and seminars. As an occasional member of the double bass section of several local community orchestras, Chris has had the pleasure of performing timeless works from Bach to Bartok as well as contemporary classical compositions. Chris has had the good fortune to perform with Grammy Award winners Norah Jones, Steve Miller, and Tom Jones, as well as Jane Monheit, Barry Harris, Junior Mance, Bobby Sanabria, Grant Green, Jr., and Billy Harper. He is a graduate of The New School of Jazz in NYC, educated by accomplished musicians such as Reggie Workman, Buster Williams, Andy McKee, Lisle Atkinson, Henry Martin, Junior Mance, Gary Dial, Bobby Sanabria and Arnie Lawrence. He has had the honor of studying privately for over five years with John Schaeffer, retired Principal Bassist of the New York Philharmonic. David was born in Paris, France, where he took up the drum set at age fifteen and quickly started performing at several jazz venues throughout Europe. 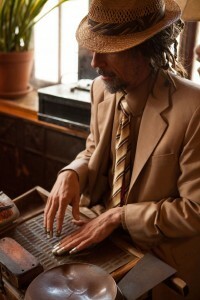 At the age of twenty one David invented his signature washboard instrument and refined his technique, which immediately attracted several avenues of professional work, including performing at the highly esteemed Montreux Jazz Festival. 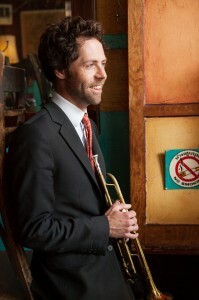 Inspired by New Orleans jazz, David founded his own four piece band in 1993 called the “Sun Side Jazz Band,” which recorded two albums and performed in festivals throughout France and Switzerland. It was at this time that David traveled extensively in Africa, especially Senegal, where he collaborated with various bands as a freelance percussionist. In 2004, David arrived in New York, where he had the privilege of playing with Dorado Schmitt, Paquito de Rivera, Angelo Debarre, Brian Torff, Scott Robinson, Gil Goldstein, Andrew Sherman, Orrin Star, Stephane Wrembel, and John Jorgensen. He played as a special guest at the Django Reinhardt Festival at Birdland and Lincoln Center. He has performed at festivals including Djangofest Northeast, Chili Pepper Fiesta at the Botanical Garden in Brooklyn, French Tuesday, and the Django Reinhardt Book Release. He recently toured the West Coast with mandolin master David Grisman as a member of Stephane Wrembel’s Hot Club of New York. Sam Hoyt was born in Sharon, Ct., and grew up in Millbrook, NY. He started playing traditional jazz with his father, and went on to complete his musical education at Wesleyan University. Sam has had the pleasure of performingand/or recording with such notables as Anthony Braxton, Roswell Rudd, Skah Shah, and Jorge Ben Jor, among others. He resides in Brooklyn, NY. 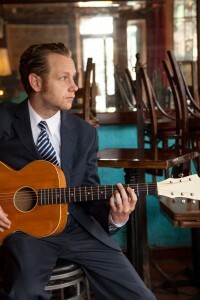 Thom Abbott was raised in a family of musicians in Orem, Utah. He has studied with Tony Malaby, Dave Glasser, Ray Smith, Tim Price, and at the New School University Jazz Program in New York City. A prolific composer and arranger, Abbott also plays and studies a variety of musical instruments, including baritone, alto, and tenor saxophones, clarinet, mandolin, banjo, bass clarinet, flute, bassoon, and piano.